Boulder Junction is a destination that’s ideal for people who love the tranquility of a Northwoods lake; we’ve got nearly 200 lakes to choose from! The best part? You don’t even need to own your own boat to enjoy the lakes of Boulder Junction. Rentals are available, and some lodging establishments give guests free use of watercraft. Below are just a few of lodging properties where you can get on the water as soon as you can drop your bags. For a full list of lodging properties, go here. 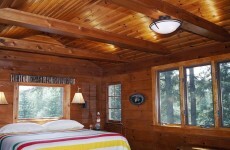 Boulder River Retreat is located approximately 3-1/2 miles west of Boulder Junction. It is located on the narrowing of Boulder Lake before the Manitowish River. Our facility is a duplex that can accommodate two families, large families or large groups. 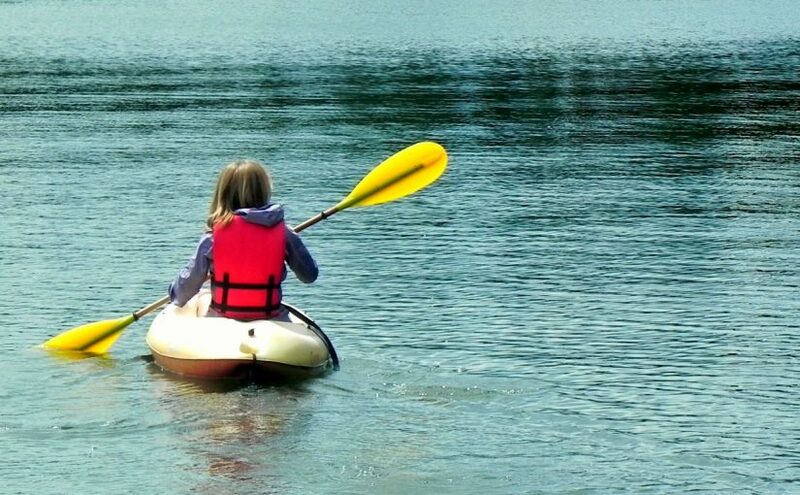 Canoes, kayaks, rowboats, motor and paddle boat are available at no additional cost. 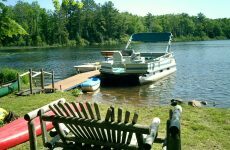 Fiesta On the Trout Lake has 4 cabins on a beautiful spot next to the state forest. We have a lovely sand shoreline, making it a great place for kids to play. The common area has a ping pong table, fireplace, tables and benches. Each cabin has a fire pit and screened tent. Our sunrises and sunsets are gorgeous! 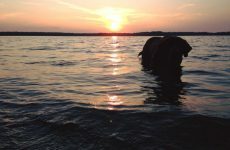 We have many amenities and are pet friendly. The bike trail is only 1/2 mile away. Check us out! 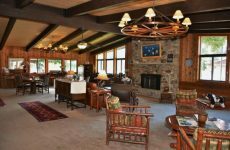 Located on Trout Lake, Red Crown Lodge provides each group with the exclusive use of the property and the finest lodging, dining, golf and lake activities in Wisconsin’s Northwoods. Groups only. Minimums required. Call for more details. 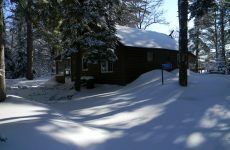 White Birch Village Resort is the leader in Northwoods destination vacations. Stay with us once and you’ll never want to leave because you deserve a quality vacation. We offer you an unparalleled vacation experience where you will tell all your friends it was better than expected. All of our facilities and grounds are impeccable and well-maintained. Let your memories begin today!